Coconuts are the aromatic fruit of the coconut palm – a tropical tree that thrives in coastal regions of South and Central America, Africa, Asia and the Polynesian and Hawaiian island, and which is often referred to as the ‘Kalpa Vriksha’, a mythological, wish-fulfilling tree said to provide all the necessities of life. And the humble coconut is indeed an undeniably all-round fruit that is commonly used to prepare an astonishing range of delicious superfood products such as coconut oil, organic coconut sugar, desiccated coconut, coconut milk and coconut juice, all of which offer the extraordinary range of health benefits detailed below. Coconut flesh and coconut juice are a natural source of fibre, vitamins (in particular B vitamins and vitamin C), minerals (including calcium, potassium and magnesium), amino acids, antioxidants and electrolytes, which help to stimulate the production of white blood cells and strengthen our immunity. Indeed the electrolyte content of coconut water is so similar to human plasma that it was even used as a plasma substitute during World War 2 and the war in Vietnam, and is still used for that very same purpose in many third world countries today. In addition, the lauric acid in coconuts is antifungal, antibacterial and anti-parasitic, making coconut superfoods, such as coconut oil, coconut sugar and desiccated coconut, extremely effective in killing off harmful bacteria, viruses and parasites and capable of preventing an array of modern afflictions such as colds, flu’s, throat infections, bronchitis, urinary tract infections, lice, tapeworms, herpes and gonorrhoea. The saturated vegetable fats found coconut oils are mostly medium chain fatty acids, which help to improve our HDL (‘good’) cholesterol ratio and reduce the risk of heart disease. Certain scientific studies have indicated that dietetic supplementation with coconut oil increase HDL cholesterol levels, lower LDL (‘bad’) cholesterol levels and reduce both waist circumference and abdominal obesity, thus helping to prevent heart disease and stroke. Population studies in Polynesia and Sri Lanka also revealed that those who regularly enjoyed coconuts were less likely to suffer from high cholesterol levels or heart disease. Coconuts are low on the Glycaemic Index, contain zero trans fats, sugars, carbohydrates or salts and are rich in triglycerides, which increase our metabolism and enable us to burn fat. Using coconut products such as coconut oil in place of standard cooking oils helps to reduce sugar cravings and improve both insulin secretion and our body’s utilisation of blood glucose. Mixing just one tablespoon of coconut oil in warm water and drinking on an empty stomach for example, can help to achieve lasting weight loss. Coconuts support the development of healthy teeth and bones by enhancing our body’s ability to absorb calcium and magnesium. This in turn can help to prevent osteoporosis (a progressive bone disease) and makes coconut milk an ideal milk replacement for those who are lactose intolerant, yet still want to benefit from strong teeth and bones. Enjoying coconut superfoods such as coconut oil, organic coconut sugar, desiccated coconut and coconut milk, helps to improve nutrient absorption, whilst the high fibre content simultaneously encourages regular bowel movements, ultimately reducing our risk of digestive and bowel disorders. Coconut oil is loaded with vegetable saturated fatty acids that both restore our skin’s natural fat content and encourage the absorption of essential fatty acids such as omega-3, omega-6, choline and lecithin. As coconut oil is hypoallergenic, it can also be applied directly to the skin where it acts as an exceptionally moisturising skin lotion or massage oil or can be used to successfully treat a range of skin conditions such as eczema, psoriasis, and dermatitis. 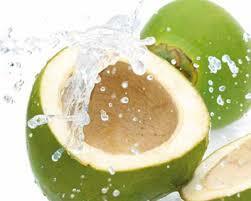 And when used in place of hair conditioner, coconut oil results in glossy, radiant looking locks. The abundance of antioxidants in coconuts and coconut products protects our body from harmful free radicals, reduces oxidative stress and can actively help to delay the aging process. In addition coconuts contain ketones, which slow down the degradation of cellular tissue in the brain and therefore help to prevent the atrophy of parts of the brain, which can lead to Alzheimer’s disease. Coconuts deliver a powerful source of additional energy that supports both improved physical endurance and enhanced athletic performance. Coconut products such as coconut juice also promote a healthy thyroid function, which can relieve symptoms of fatigue and makes it the ultimate in rehydrating refreshment after a punishing session at the gym. The post The countless health benefits of coconuts appeared first on Superfood blog - Healthy, Rawfood Lifestyle.